If you’re missing some or all of your natural teeth, you have probably spent considerable time considering your options for tooth replacement. 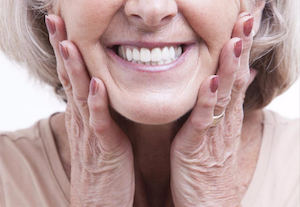 After researching several of them, you may still be wondering “What are dentures?” Dentures are a removable appliance that conceals your tooth loss in addition to returning the full functionality of your mouth. You are able to chew, speak, and smile with ease again. You risk infection as well as alignment problems when you don’t replace missing teeth. Dr. Ahmed will install complete dentures when you have lost all of your natural teeth to dental disease, trauma, or decay. Complete dentures consist of a row of 14 teeth for your top jaw and 14 for your lower jaw. This is the normal number of teeth that adults have without including the wisdom teeth. When you’re missing two or more consecutive teeth on the same arch, he will install partial dentures. You can replace a single missing tooth with a dental bridge to secure the replacement tooth in place. You can choose to get immediate or conventional dentures when all of your natural teeth have been extracted or lost. With the first option, we make your replacement teeth on-site and install them in one appointment. You will need to visit Dr. Ahmed a few times in the weeks immediately following the procedure just to make sure that the dentures fit correctly and that your jaw and gum tissues have healed properly. With traditional dentures, you may need to wait several weeks or months from the time Dr. Ahmed extracts your teeth to when he can install the new dentures. This allows for optimal gum tissue healing, but it does leave you without teeth in the meantime. We are happy to provide you with a set of temporary dentures until your customized permanent dentures are ready. 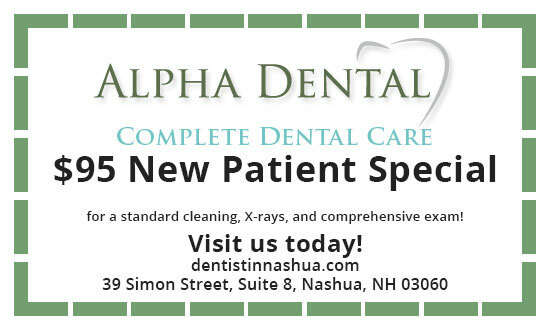 The staff at Alpha Dental knows that choosing among the various options for teeth replacement is a big decision. We encourage you to make an appointment for a consultation with Dr. Ahmed so he can discuss dentures with you in more detail. He is also open to discussing other alternatives if you decide against removable dentures. « What is a Tooth Filling?